If one thing is clear, is that Assassin’s Creed is currently one of the biggest franchises in entertainment, and the video game series that gave birth to it almost a decade ago has millions of fans worldwide. But it’s no secret that Assassin’s Creed Unity disappointed quite a few players back in 2014 due to its buggy launch. Actually, many players who were looking forward to enjoying that Parisian adventure encountered a mass of glitches and bugs such as disappearing faces in the game, meaning the next instalment in the series (Assassin’s Creed Syndicate) got a somewhat lukewarm reception despite being a pretty good game in its own right. 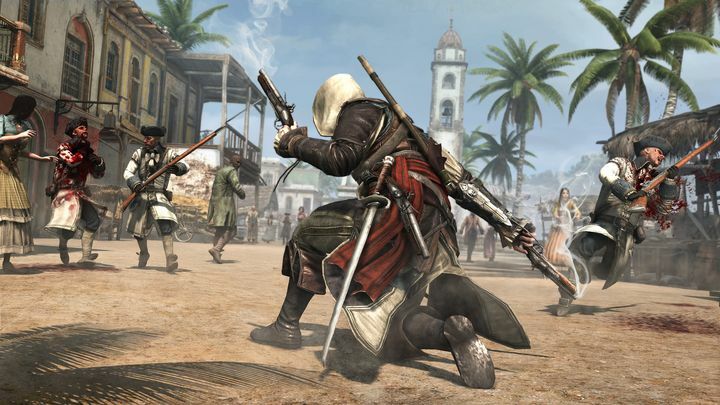 And despite the fact that last year Assassin’s Creed fans got to see a big-budget movie adaptation of the game, and that the Ezio Collection and the Chronicles spin-offs hit the market too, many have been longing for another mainline Assassin’s Creed game. Those players may have their wishes answered this year, though, as a Swiss retailer shows that the next major game in the series (rumoured to be called Assassin’s Creed Empire) could be hitting the shelves in October this year, as reported on website wccftech.com. This game is rumoured to be set in Egypt, something confirmed by a leaked screenshot which appears to belong to this upcoming Assassin’s Creed game. 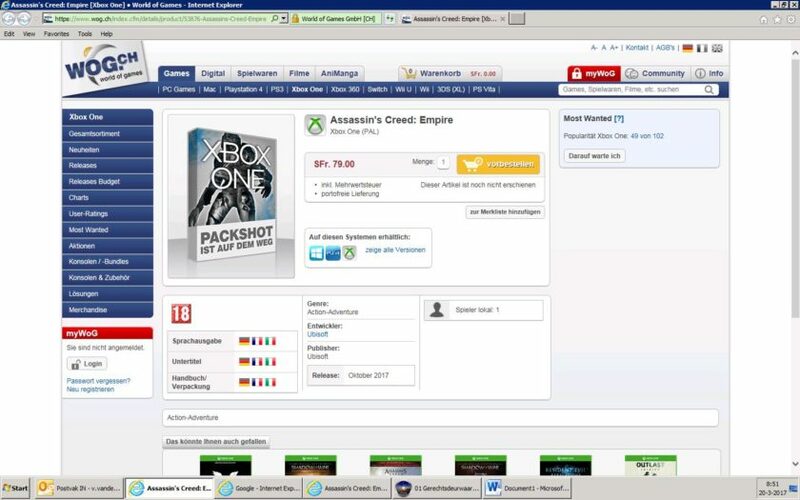 This could also be the first Assassin’s Creed game to debut on Nintendo’s Switch console, although as seen in the leaked screenshot above it will almost certainly ship for the same platforms Assassin’s Creed has been typically released on (Xbox One, PS4 and PC) too. Of course, we must bear in mind that the game has not been announced yet by Ubisoft, and that a new Assassin’s Creed might not be headed our way this year after all. Actually, the French video game company made it clear last year that new games in its Assassin’s Creed and Far Cry franchises would be getting more development time and polish before hitting the market.